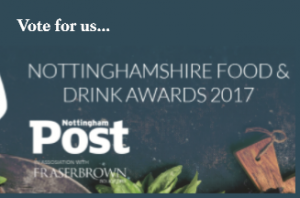 It’s that time of year again for the Nottingham Post Food & Drink Awards 2017. We’d love you to vote for us, if you like what we do!! Don’t forget to say all the lovely things you like about us too!! Craig, Gaynor & the team!